The Association of Superannuation Funds of Australia (ASFA) is crying foul that lawyers are responsible for increasing TPD claims and premiums. The reality is that there is simply no objective evidence that would support this proposition. The reality is that lawyers have been acting in superannuation TPD claims for many years before claims and premiums started to increase. It follows that any recent spike in claims and claim costs cannot be blamed solely on lawyers. There are other factors at play. Investment cycles have taken a downturn which has reduced insurer’s revenue streams. In addition policy definitions have loosened over the years to widen the scope for members to be found TPD in line with the legislative framework governing superannuation. 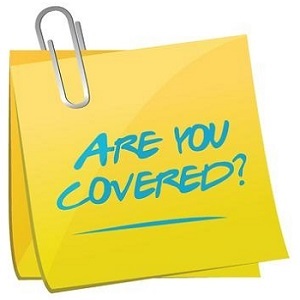 Despite this, some insurers, in a period of high competition, lowered their premiums and allowed automatic coverage provisions to apply without any need for members to provide health declarations which would have properly managed their exposure to claims. ASFA also claims superannuation funds have a dedicated team to assist their members with the claims process making lawyers unnecessary. Have you ever rung a superannuation fund and received a recorded message at the beginning of the call, before you even speak to a person, that the fund cannot provide you with specific advice and can only provide general advice or facts or cannot tailor advice to your situation? There is a good reason those messages are played because the reality is that superannuation trustees cannot provide you with legal advice about your individual circumstances unless they employ lawyers. Nor can they provide financial advice either unless they employ qualified planners. Any advice they may attempt to give is conflicted because not only does a superannuation trustee have a duty to advance a member’s interests, it has a duty to advance “all members” interests as well as obligations to the insurer under group life policies and other conflicting arrangements. The reality is that the superannuation trustee is in a position of conflict and cannot advise their individual member’s in their best interests. It is misleading for them to suggest otherwise. When the hype is compared to the facts the claims of organisations like ASFA simply do not stack up.